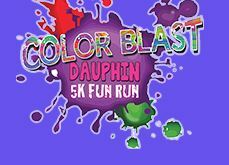 Have a BLAST this summer @ Dauphin's Colorblast on Saturday Aug 26, 2017. You can walk, jog, run...this event is for everyone! You will be a colorfull masterpiece at the end of your 5km journey. All funds raised stay in Dauphin to support Skate Dauphin. DCP is proud to be a Half Color Sponor for the Colorblast Run. Visit colorblastdauphin.ca for more event details.